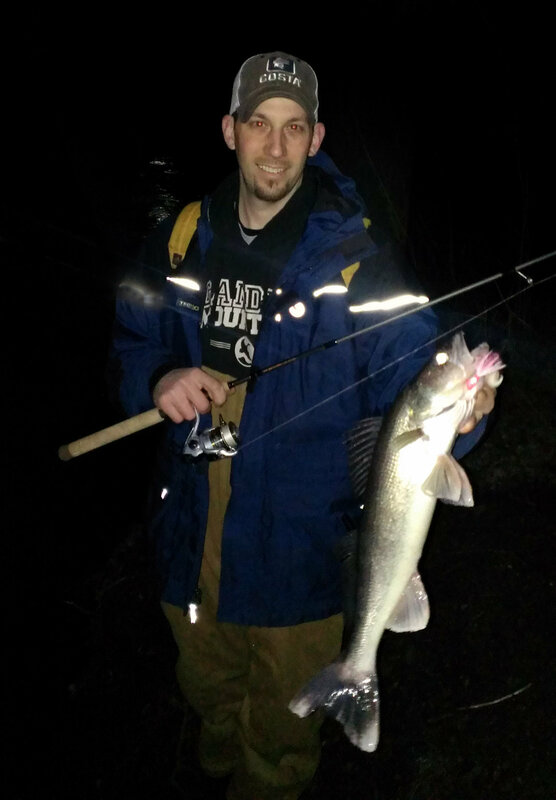 I got out last night for some late night walleye fishing with a couple buddies. Fishing was slow but at least we caught a few and didn’t get skunked. This fish fell victim to one of my buddies custom hair jigs in the pink/white flavor with a purple/white ringworm. I know this sounds stupid but because of the weather we have had for the past week, I feel we will have extremely remarkable fishing for the opener!! Tell your friends, tell your family, get a hold of me if you want to put some walleyes in your freezer!! Not to mention, it will be the funnest bite you have ever experienced! A little night time jig bumpin.